Cat? Does anybody see a cat? 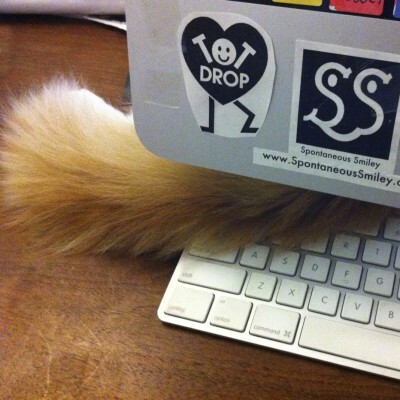 My little Rooster, after having been tossed off of my lap and the desk half a dozen times, tries a new tactic. I’ll just hang out behind the computer. Ruth is sure not to notice. But Rooster, swishing your tail across the keys is sure to get you busted!